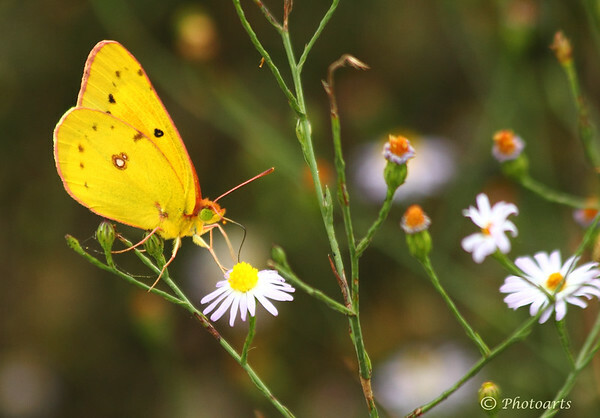 This butterfly called Orange Sulphur (Colias eurytheme) was captured in Hagerman National Wildlife Refuge in Texas. Lovely shot, nice details and color! Much more colorful than the Colias we have here. Excellent detail.